Genetic Technologies Ltd (ASX:GTG), a provider of world-leading genetic risk assessment test products, has established an important Memorandum of Understanding (MoU) with TGen, a major player in the US biomedical research industry. TGen is an Arizona-based, not-for-profit biomedical research institute dedicated to conducting ground-breaking research with life-changing results. The group examines the genetic components of common and complex diseases, including cancer, neurological disorders, infectious disease, and rare childhood disorders. TGen is also affiliated with City of Hope in Duarte, California, a world-renowned independent research and treatment centre for cancer, diabetes and other life-threatening diseases. This news comes on the back of promising developments regarding Genetic Technologies’ entry into China, a recent catalyst for a 20% share price surge. While the terms of the MoU are confidential, key features of the agreement include cooperation between Genetic Technologies and TGen in developing a commercialisation strategy and infrastructure for a suite of polygenic risk tests. These will be made available in the US market and provide the foundation for establishing any fund-raising mechanisms which will assist in progressing the commercialisation strategy. The infrastructure development will include the establishment of a co-managed US-based CLIA (Clinical Laboratory Improvement Amendments - 1988 US federal regulatory standards) laboratory and provision of the new test portfolio to a major US Health Provider. In order to achieve these initial goals, Genetic Technologies and TGen will collaborate on a number of matters with a priority being the establishment of a US-based CLIA laboratory. This will involve, among other things, defining the legal and corporate structure of the collaboration. It will also involve the transfer of Genetic Technologies’ know-how in this area. Group Chairman Dr Paul Kasian said, "We are excited to be working with such a prestigious organisation as TGen in bringing our current and developing future polygenic risk tests to the US market". The US based laboratory will offer GTG’s existing and future tests. This will include oncology polygenic risk tests for breast cancer, colorectal cancer, prostate cancer and melanoma with other tests to be considered over time. The non-oncology tests to be offered will include cardiovascular disease and diabetes. 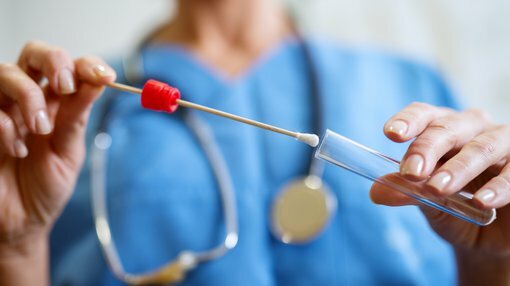 Highlighting the benefits of working with Genetic Technologies, associate professor of TGen David Duggan said, “The portfolio of polygenic risk tests developed by GTG opens a new pathway for helping individuals make informed decisions when it comes to improved personal health and prevention”.